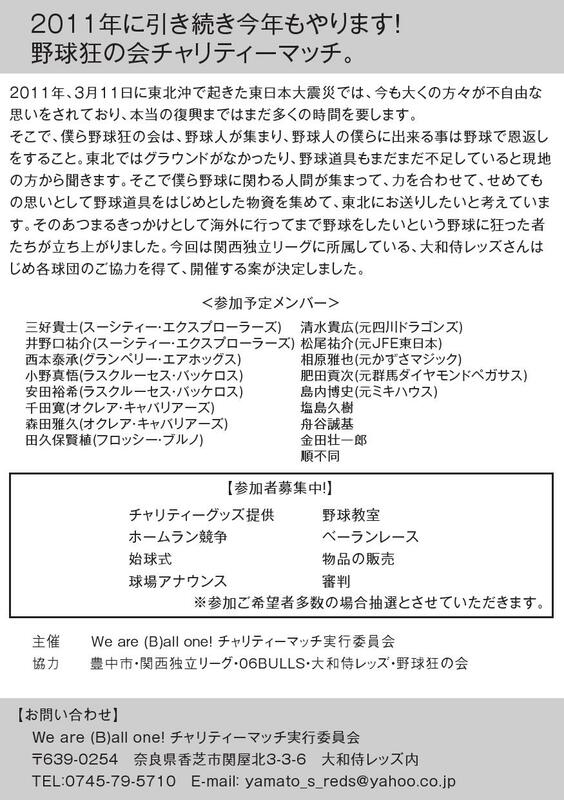 We will play “Charity Match“ for Tohoku (region)! !This is where the earthquake happened last year in Japan. So many people over there still need a lot of help. As a baseball people, we decided to do something positive for the community over there for the kids who love baseball just like we do. 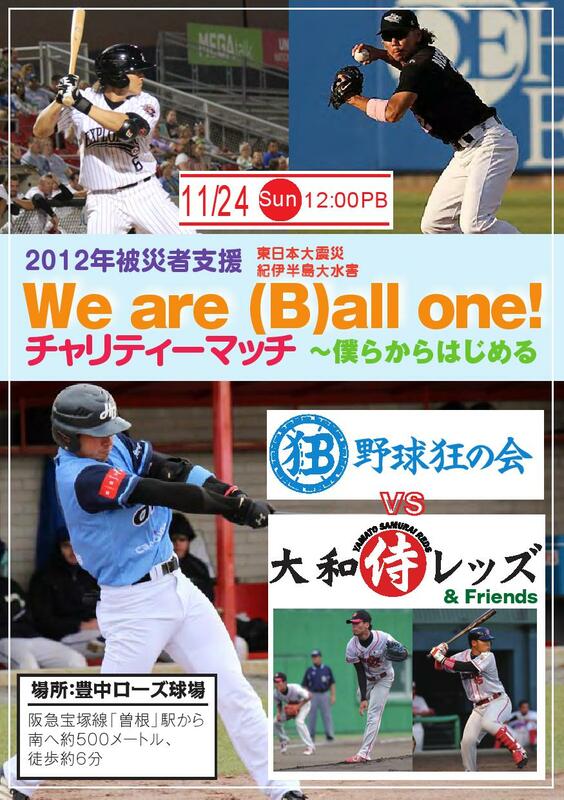 (we are going to try to get baseball stuffs from players who play this “Charity Match“and will send stuff in where they need baseball stuffs. We know this is little things but we hope that this little things will lead hope, love,and eventually will become someone`s dream) “We are (B)all one!! “and We believe that Baseball “Unites“ people around the World!! Think about potential, what we have, what we can do for the others. And think what we can, instead of what we can`t. I know the world is not perfect place to live together sometimes but for the great things for the future like this event, forget where you from, all the politics and gather up!! Our life is full of potential and think ahead and think positive to do something what we can! !